There’s no turning back once you’ve started the printing process for your luxury brochures. You can’t rush this step either. You need to take plenty of factors into account before you’re even ready to find the right printing company for you who will help deliver your aims and show off your premium products in the best way. Noticing mistakes afterwards doesn’t shine your brand in a good light, and you don’t want to look back and think you could have done things differently and much better. You need to separate your premium products from the everyday, ordinary products and a crucial step includes having the perfect brochure. 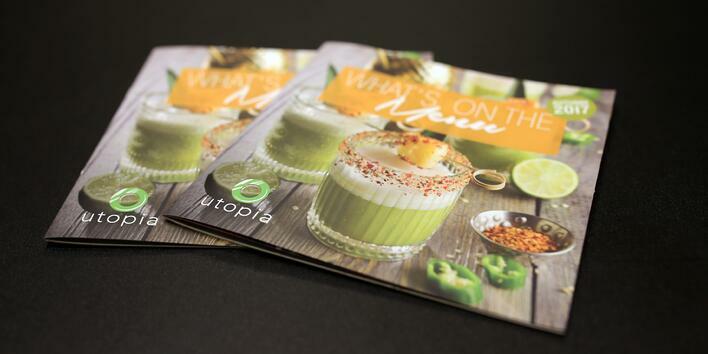 So, here are 6 factors to consider for high quality brochure printing. How Good Is The Photography? Are Your Products The Centre Of Attention? Have You Considered The Stock? Can The Printer Print On Your Stock? How Can They Help Produce The Best Quality? Ask Yourself: Are The Images Good Enough? Photography is one of the main pillars of high quality prints, as they help sell your premium products much better than just text. Look through the brochure and inspect the quality. Make sure images aren’t pixelated and in focus and if you’ve taken the pictures yourself and not used royalty-free images online, then question whether the photography is engaging enough and if there’s a wide enough variety. This includes aspects such as using different angles and thinking about the composition to show off the finest details of a classic timepiece, for example. If the picture quality is poor, the end result when your brochure is printed will be equally as poor and not easy on the eye. Ask Yourself: Are Your Products The Centre Of Attention? The whole point of creating a high quality brochure is so that you can show off your premium products and create plenty of new customers that are going to be seriously impressed with the effort you have put in. If you’ve sourced a printing company that won’t offer much input on the design, then they won’t point a major factor like this out to you. Instead, flick through your brochure from a reader’s perspective and question whether the product you’re advertising is enticing enough for you to find out more. To do this, think about the photography of the product, where it’s placed on the pages and whether too much text is making it less appealing - so look over the whole design and layout again. Ask Yourself: Have You Thought About The Stock? The right paper choice can make all the difference. While readers are going to be impressed by your premium products by seeing them, they’ll be even more impressed if the high quality brochure feels nice in their hands. Choices aren’t limited so don’t settle for the cheapest option, as an investment is worth it. Step out of the ordinary and consider stocks like uncoated paper for the best quality, or even silk coated paper which offers excellent ink to paper contrast and this popular option allows printed colours to appear brighter and much more defined. There are also options like foil blocking, as shown in the image above. If the physical quality is poor, then the overall printing quality of your brochure will be just as poor and not readable. Ask Your Printer: Can They Print On Your Stock? You shouldn’t have to compromise. If you’ve decided on the type of stock you want, then make sure you ask your printer whether their machines are capable of printing high quality brochures on that particular stock. For example, they might have good printers for other stocks than the one you want, but that could decrease the quality because the brochure might not feel premium or high quality once printed. If your printer can guarantee high quality brochure printing on the stock of your choosing, then you’re at an advantage in this digital-first era where perfect quality is a necessity, as it’s bespoke and sets you apart from the competition. Ask Your Printer: How Can They Help Produce The Best Quality? Printers should have methods in place that can consistently help achieve perfection. For example, they might have LED UV printing available which uses UV Curing to dry the inks and adhesives. This is a technique which guarantees perfection thanks to the technology involved, and the benefits of this will only help your brochure feel more like luxury compared to those that don’t use this method. If you choose a printer that can use LED UV printing on the stock of your choosing - such as an uncoated stock which LED UV works best on - then you’re getting faster turnaround times because of the efficient drying process and the quality isn’t compromised. The colours are much sharper when printed and much more vivid to instantly grab attention and there are no blemishes or markings on any of the brochures. Ask Your Printer: How Experienced And Reputable Are They? If the printing company you’ve chosen have never had a big printing job before, then it’s probably wise to continue searching. Check their history and reviews from other companies and see how effectively they completed their jobs and to what standard. When it comes to sourcing high quality brochure printing, search for their reputation and if they can be relied upon when it comes to producing your high quality brochures, and even see some examples of work they have printed so you have a better of idea of whether it’s a company you want to work with. A reputable company prints the best quality and also charge fair rates, while you also stand a chance of being assisted in choosing the right colours, format and page sizing amongst other aspects. As they have experience, they will be able to spot areas for improvement that you may have missed and assist you in achieving perfection. When you’ve asked all of these questions and taking all factors into consideration, you’ll be well on your way to printing the high quality brochures your premium products deserve. Finding the right type of printer is important when it comes to creating unique printed material, as the right piece of technology can do an amazing job of printing high quality products - and quickly. We’ve come up with an easy guide which highlights all of the different types of printing and what they’re best used for.